Facebook’s New ‘Social Jobs’ App — Like or Dislike? Last week, Facebook announced that it was stepping up its efforts in the job search and recruitment arena by offering a new app that allows users to peruse employment opportunities aggregated from existing job boards such as Monster, Jobvite and BranchOut. Although Facebook is already viewed as an active but informal platform for job seekers who want to network, the company’s “Social Jobs” app will allow users to search approximately 1.7 million jobs by keyword and location, and then apply for positions without leaving the site. Facebook users can also share open positions with others in their networks by “liking” those jobs. The app is the culmination of a yearlong partnership with government agencies and human resources consortia, including the U.S. Department of Labor and the Direct Employers Association. What does this new development mean for Facebook, its users and major players in the job search market, such as LinkedIn? K@W Today asked Wharton marketing professor Pinar Yildirim and Wharton emeritus management professor Lawrence G. Hrebiniak for their take. K@W Today: Strategy-wise, is this a good move for Facebook? Pinar Yildirim: Since its IPO, Facebook has been feeling the pressure to make business moves that will bring in quick money for its shareholders. This pressure results in some moves with short-term benefits but long-term costs. Facebook started out as a social platform for a homogenous clientele. It had college students who shared similar interests and lifestyles. Users on Facebook felt comfortable sharing information and networking with close friends. It allowed for an easy and time-efficient way of keeping in touch. As Facebook gradually got larger and larger, the average user started adding her boss, parents, colleagues, neighbors or the random stranger she met at a party to her network. Her network was no longer homogenous. The quality of information shared among friends also went down significantly. Overall, users started to share less and less personal and intimate information. Trading in quality of information for volume was a mistake, because the archive of personal information is the biggest value of Facebook to advertisers. Imagine what an opportunity it provides when a consumer shares personal information; [an advertiser is] able to target a consumer as soon as she shares information on everyday events — like where she is going out that night, what TV show she is hooked on, etc. — or life events like getting engaged, becoming pregnant, breaking up with a boyfriend and so on. Yes, Facebook added features like lists and friend groups to prevent the quality of information shared from going down, but let’s be honest: The average consumer is lazy, busy and not keeping up to date with settings on every website she uses. Most people would rather post less private information than spend hours creating lists of friends. Facebook missed an opportunity and has been seeing disappointing advertising numbers. As a result, it is now turning to other options. Social jobs is one of them. Integrating ads into feeds is another attempt. I expect many others to follow. In the short term, the Social Jobs app might help Facebook raise money as corporations will pay for posting jobs on Facebook, particularly given the unemployment numbers. Many firms are interested in getting personal information on a candidate. But in the long term, this move is likely to further degrade the quality of information people share. Users will be more careful about what they say or post on Facebook, because it might be evaluated by a potential employer one day. And this might further hurt the advertising dollars. In summary, it is a good short-term move, but likely to have negative consequences on advertising in the long term. Lawrence G. Hrebiniak: The Social Jobs app is a good strategic move by Facebook…. Facebook has a massive user base, and the Social Jobs app allows it to build on its people-reaching capabilities and grow in an area in which the company currently has a minor presence. This clearly is a strategic move [for Facebook] to test its mettle against LinkedIn, and the targeted company shouldn’t take Facebook’s actions lightly. K@W Today: What will this mean for LinkedIn? Hrebiniak: LinkedIn’s Talent Solutions unit is its bread-and-butter, revenue-producing division, and Facebook would like a big bite of this lucrative market. Of this there is no doubt. The drop in LinkedIn’s stock price after Facebook’s announcement is strong evidence that investors clearly see the looming threat to the company. LinkedIn currently has good working relationships with headhunters and a history of effective performance serving them. It needs to use these contacts to continue differentiating its capabilities in the marketplace. It must work hard to ensure that Facebook doesn’t become more than a simple list of jobs, and must use its strengths to keep Facebook from gaining traction with its headhunters and other allies. This is a strategic shot across LinkedIn’s bow, and it had better respond to the warning. This will be a battle of muscle vs. muscle, and it will be interesting to see how it plays out. Yildirim: LinkedIn will have competition, but users of LinkedIn created more than just resumes in the past years. They created communities; they established interest groups. And there are consumers with existing subscriptions. Switching will be costly. On the other hand, Facebook can become a serious rival for jobs where social skills matter. Sales positions and jobs in the entertainment industry are examples. Facebook can offer years of proof of leadership, communication and social interaction information history and photos. LinkedIn cannot yet offer such information or information on the personality of a person outside of the work environment. 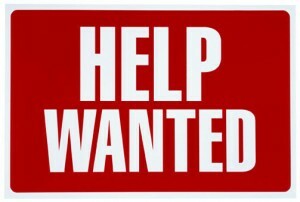 K@W Today: Are traditional job boards like Monster.com and Indeed likely to disappear altogether? Yildirim: It is important to listen to what past bosses, clients and co-workers say about a candidate during the hiring process — but not necessarily for every position. There are many positions where firms simply do not have the time or desire to collect information on a person’s social life. Or they prefer to evaluate the candidates through their own filtering mechanisms. Similarly, for highly skilled or specialized jobs, resumes matter more than what others say about you. There will be traditional hiring for such jobs, and traditional job sites will survive. K@W Today: Do you see any privacy concerns for Facebook users with this development? Yildirim: I see many privacy concerns with online social networks and search engines, simply because they sit on too much private information and they archive it. Personal information is collected over the course of one’s life. Kids born today will have a digital archive of their entire lives online — initiated by their parents posting baby pictures on Facebook, [followed by those kids] creating a Facebook page at a very young age. Such archives might become very useful one day for advertisers and researchers, but at the same time, they will be a headache for some others…. It is up to people and policy makers to say “no” to the archiving of their personal data beyond their approval. A final note: I expect markets to create paid alternatives to firms that violate privacy. The number of such alternatives and small initiatives are increasing. DuckDuckGo (a search engine focusing on privacy) is an example.